Contrary to popular belief, free radicals are not entirely bad for your health. Free radicals, by definition, are reactive elements that want to steal electrons from compounds that they come into contact with. Free radicals inflict damage upon other compounds by stealing electrons from them, which initiates bouts of inflammation that can lead to scar tissue formation. 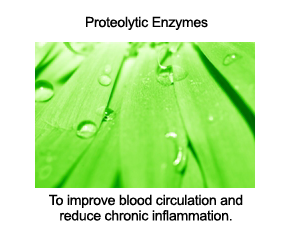 For example, if enough free radicals steal electrons from the inner wall of one of your blood vessels, the resulting inflammation can lead to hardening of the vessel wall, which can cause compromised blood circulation in that area of your body. Just as free radicals can damage your tissues, they can also damage viruses, bacteria, and harmful substances that make their way into your blood; in these instances, free radicals act as important parts of your immune system, and serve to protect the health of your tissues. Free radicals that are formed inside of your cells via everyday metabolic processes are important to your natural defense mechanisms. These free radicals help to neutralize toxins, destroy waste products, and protect your tissues against harmful microorganisms. Free radicals become a significant cause of disease when you produce them in excessive quantities and/or are exposed to large amounts from the environment. When your body is bombarded by excessive free radicals, you have a higher risk of developing a variety of degenerative diseases - including cardiovascular disease and many types of cancer - due to the damage that free radicals can inflict on tissues that they come into contact with. Antioxidants found in fresh, minimally processed foods are helpful to your health because they are able to provide the electrons that free radicals want. Once free radicals are neutralized by antioxidants, they become harmless, and are eventually eliminated from your body. Avoid hydrogenated oils, fried foods in restaurants, and highly refined foods - all of these foods are typically rich in free radicals. If you aren't sure about how to choose healthy oils, please feel free to read our guide to choosing healthy oils. Avoid charcoal-grilled meats and animal products that have been cooked at high temperatures - these foods are also abundant in free radicals. Eat plenty of fresh vegetables, such as romaine lettuce, celery, bell peppers, carrots, and tomatoes. Fresh vegetables and fruits are rich in natural antioxidants that can neutralize free radicals in your body. If your life circumstances permit, drink fresh vegetable juices on a regular basis. Freshly pressed vegetable juices provide a wide range of nutrients, including antioxidants, that are easily absorbed into your bloodstream. To optimally support your blood sugar level, emphasize the use of greens like romaine lettuce, kale, and celery, and use only small amounts of sweet vegetables like carrots and red beets. 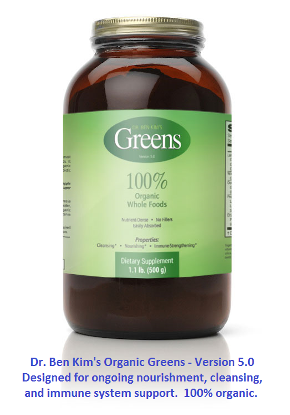 Consider using a high quality super green food product if you don’t have time to make vegetable juices on a regular basis. Eat fruits that are rich in antioxidants, such as blueberries, pomegranates, raspberries, blackberries, strawberries, cherries, goji berries, papayas, mangoes, watermelon, and olives. Don’t overeat. Since free radicals are produced by your regular metabolic activities, overeating results in excessive free radical formation in your cells; these free radicals can spill out into your blood, and eventually damage your tissues. As you try to minimize the negative impact that free radicals can have on your health, don't forget the importance of acquiring restful sleep and striving to be emotionally balanced; a well rested body and a balanced nervous system are two of the most important requirements for a strong immune system that can protect your health against excessive free radicals.